For us it was a dream being in the DEFCON cyber security conference, considering that all efforts we have tried in the past have failed. For many years we have looked forward towards realizing our dream because as we have seen DEFCON on the internet, it was incredibly amazing and crazy. Going to IPKO Foundation represented the perfect opportunity for us to realize our dream of attending it. Having gained help from IPKO Foundation, we were able to participate in an incredible event about cyber security, with over 18,000 participants from around the globe. 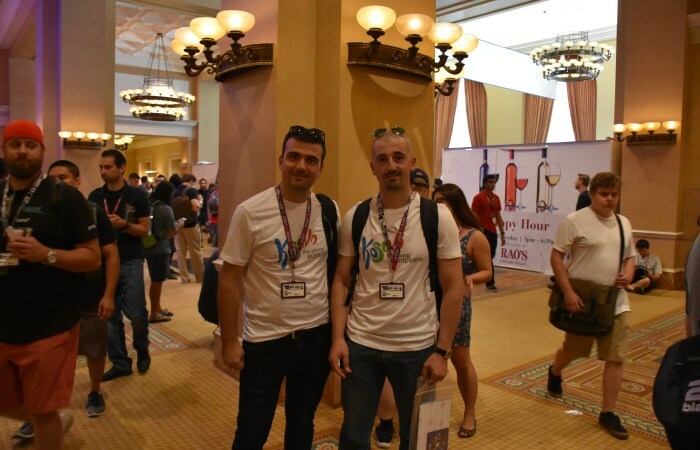 Although our knowledge in the field of cyber security was quite extensive, DEFCON equipped us with a mountain of extra knowledge, contacts and opportunities. We met many field professionals, young talents, and we saw many new techniques and methods to apply in the ICT field. The world has gone so far in technological developments that it has become very difficult to stay a few hours without access to the Internet and the inability to participate in activities such as DEFCON. We participated in a large variety of talks, presentations on crypto, security, algorithm, we were part of contests like Wi-Fi hacking, car hacking, pen-test, IoT challenge, lock picking etc. However, the most interesting part was being part and watching the live contest, as well as having an opportunity to speak with the professionals who created those incredible competitions and challenges. This participation in the DEFCON event was a good opportunity for us to promote the Republic of Kosovo. The DEFCON left us with the desire to go back surprising us with creativity, but most importantly it left us with the message that everything is possible if you are committed to achieve something in your life. Being a part of this conference was a friendly reminder for us as a country to continue working harder to make a difference in raising the level of our industry of ICT Information Communication Technology. We are in the right direction but there is lots more to be done to achieve useful results in our scientific work. This attendance was useful and inspired us to start activities which motivate the young generations of Kosovo towards being more engaged in ICT field, and presenting their self by working and doing things to develop their community by using ICT. We think that this is the perfect beginning of our journey having gained many fresh ideas from the conference, and we are excited to see how we can implement them in Kosovo. Lastly, I would encourage all dreamers, hard-workers and visionaries to apply for support at IPKO Foundation. For us, it is an absolute honor and achievement to be IPKO Foundation winners. We are very thankful for IPKO Foundations support which helped us to travel to USA and attend the DEFCON 25 Cyber Security Conference. Also on this support we would like to thank other supporters Ministry of Public Administration and University for Business and Technology.